Driving past this church today, brought back many memories. I was christened here, confirmed here and was married here. So were my parents and Grandparents before me. Sadly, they have now all departed and are buried here. I thought about this for a moment and realised how much I miss them and how much they have missed. At our home for waifs and strays, we also have a burial plot for all the animals that have died. A candle is lit regularly at the sight and flowers grow around it. My dear and unassuming husband takes great care in keeping our little graveyard in immaculate condition. Just as I try to attend to the family plot at the local church. Though I have to admit, I am certainly not as dedicated and patient as he is, not by any means! But it made me think! And although I do not like to dwell on such things, it is good to remember our roots. It took a long time for me to discover where my roots were and where in the ground they were firmly planted. It seems strange to some people who hear me say this, being a child of eccentric parents who brought me up to be feral. But all wild things need to be grounded in body if not in spirit...I think! I have certainly got a ‘free spirit’ but I could not possibly ‘grow’ without feeling rooted. 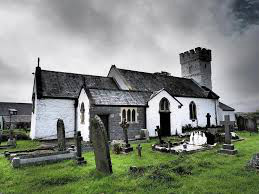 Driving past the church today reminded of my roots, not just the roots of my ancestors, but the roots I have planted myself, in our home for waifs and strays.